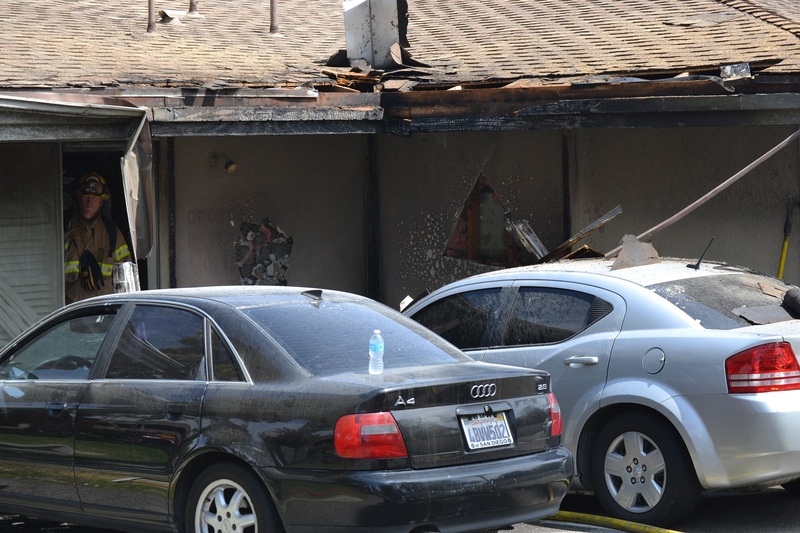 PASADENA >> A car fire spread to a Pasadena nursing home Sunday afternoon, leaving more than 100 residents temporarily displaced, authorities said. The fire was reported about 2 p.m. at the Pasadena Meadows Nursing Center, 150 Bellefontaine Street, Pasadena Fire Department spokeswoman Lisa Derderian said. A Dodge Avenger parked next to the Pasadena Meadows Nursing Home nursing home caught fire, spreading to the building, she said. The cause of the fire was under investigation. The fire burned its way into a resident’s room and forced officials to evacuate the 127 primarily bed-ridden patients living at the nursing home, Derderian said. “Firefighters were assisted by 55 staff members in moving the residents outside the structure, providing shade and hydration as paramedics carefully monitored their status,” Derderian said. One firefighter suffered a knee injury while battling the blaze, she said. Once the flames were extinguished, one room had been damaged by the fire, and two additional rooms had sustained smoke damage, she said. All residents were allowed back into the building Sunday afternoon, and the facility made space elsewhere for the residents whose rooms were affected by the fire, Derderian said. This entry was posted in fire, Pasadena by Brian Day. Bookmark the permalink.